In the last 5-10 years the process for looking for a new job goes beyond having the perfect CV & an amazing cover letter, now you have to include social media into the equation and if you take advantage of it, you can get a jump on your competitors, in today´s article we´ll show you how preparing your social media for the job search can help you but also, HOW to prepare your social media when looking for a new job. There are two main social media networks that recruiters/hiring managers will check before interviewing or hiring you, Facebook and LinkedIn, You probably have at least one, and if you don’t, make one (at least one of them). The main thing to do before we get started is to keep it private, giving you a few minutes to remove any crazy party photos from Uni that the hiring manager doesn’t need to see! Don't post anything you wouldn't want your current or prospective employer to see, this includes photos or posts which portray you in an unfavourable light but also comments about your employer. As I spoke about in a previous article 9 common interview mistakes, speaking negatively about a current or previous employer will only hurt you and your application. Don't do it. LinkedIn can be a great way to find your new job or a useful connection, companies and recruiters use it find new employees so you definitely should be! You don’t have to pay for a headshot but just try to get a nice image of you smiling, try to have your face and maybe shoulders in the image on a plain background. • Headline – What job do I want? You can incorporate phrases such as this into your headline to increase the likelihood that your profile appears when recruiters are searchign for candidates to fill vacancies. Be sure to complete your profile to ´expert´ level, fill out work history, language skills, anything relevant to the job or industry you want to work in. People know that you’re looking, good progress! You should also include the industry and job title you currently have/want. Recruiters are searching for finance experts open to new experiences? Great! because that’s in your headline! And so the probability they see your profile increases! Add skills and ask for recommendations to your profile. Have you ever seen a company website with testimonials? It’s to make users/consumers feel a little more comfortable that the company in question is trustworthy, its the same for us as jobseekers. Having skills & recommendations on LinkedIn is our form of a testimonial, its called social proof and can provide a huge boost to your social media and job applications. Add recruiters in your industry, these professionals are actively looking to hire people in the industry, you are actively looking to be hired… it’s a perfect match right? So, search LinkedIn for recruitmers in the industry & location in which you want work, sometimes recruiters post vacancies on their profile and making a connection can increase the chances they look at your profile. Personalizing the initial message can be a good thing but I’ve found that people often either ignore this message or don’t respond but are happy to grow their network. 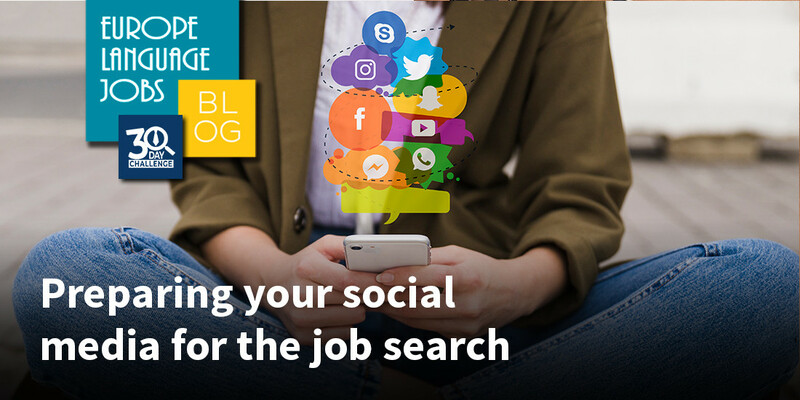 3) What other social networks you can take advantage of when job hunting? If you have any other online presence related to the job you’re applying for, make sure you include them, I mentioned in a previous article about finding an internship, a friend of mine found her new job when a company stumbled on her personal blog/Instagram and loved them! You’re ready! Start sending out applications and get yourself an awesome new job! You never know who is watching and what might happen, so be ready! 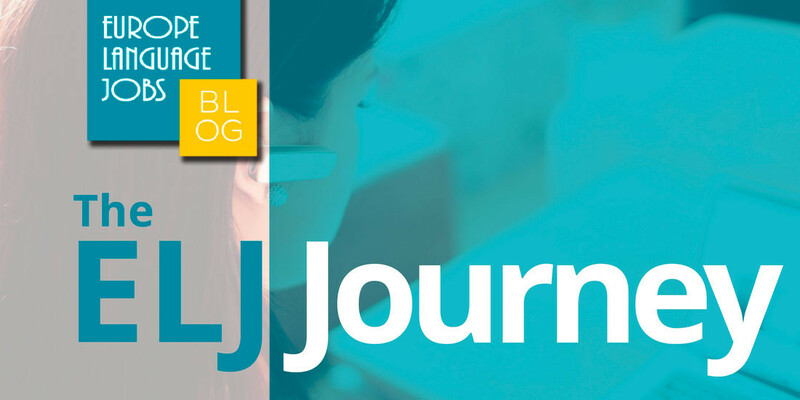 In the meantime, be sure to register with Europe Language Jobs and check out our related article, Finding a job abroad! An overview of the development of our multilingual job board. We have also assembled the essential statistics of our progress over the last few years. 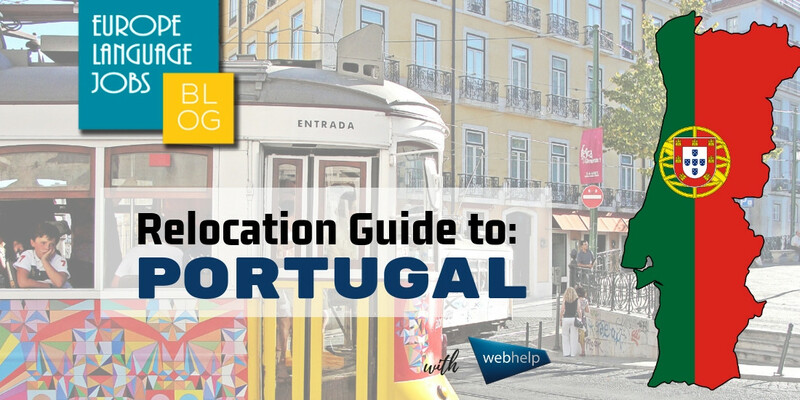 Our guide to relocating in Spain should give those about to, or thinking of moving in Portugal all of the necessary information on how to move to Portugal, moving life and other vital info.